Traveling to me is like nirvana - the best way to rejuvenate the soul, mind, and body. During my seven-year sojourn in Korea, I traveled extensively to explore the scenic beauty of local terrains often unaffected by climate and linguistic roadblocks. Given an opportunity, I'd like to hit the road again and explore both natural and man-made wonders in the vicinity. None of this would have been possible without my better half, Sadhna, a companion who shares the same joy and excitement about travel. The value of life lies in doing things together, walking hand in hand, going to unknown places to discover one's true self. She absolutely gets it and doesn't mind packing even at a couple of hours' notice. My son, Rishab, has followed suit. A no muss, no fuss kinda guy - also a long-distance road traveler from a tender age. 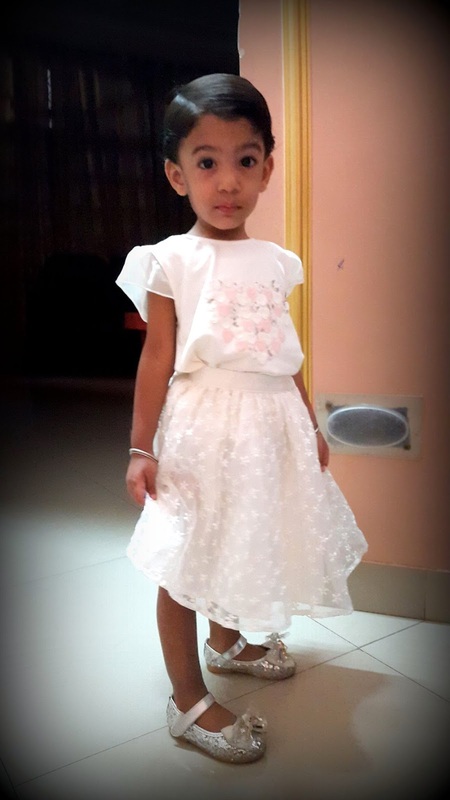 The lil diva, Saanvi, throws tantrums on the mere mention of travel. Why? Because she only enjoys small rides and wouldn't leap out of her mother's lap, thus limiting both long-distance travel and the benefit of a co-driver. A 4- to 5-hour drive with Saanvi could well result in a test of my patience as well as temper. And knowing how abrasive I can be, wifey insisted to buy a car seat for our damsel in distress. Mothercare being a preferred brand of childcare accessories, the search began for a suitable baby car seat. 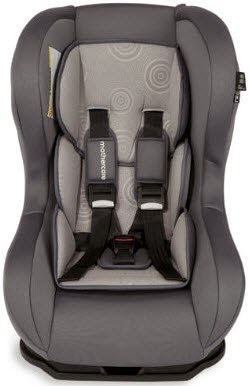 Brand new car seats that appealed to us are exuberantly priced on the Internet, going way up to INR 10,000 - an amount I'm unwilling to pay <shameless plug> knowing its limited usage and fearing a complete "No Thanks!" from my cutie pie. 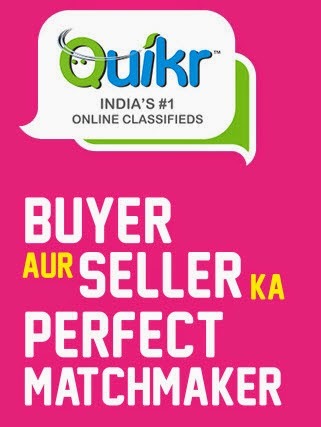 A quirky TV commercial grabs my attention and before I know, I am redirected to Quikr, India's social classifieds networking platform for buying and selling anything ... and almost everything. I simply download the mobile app for Quikr and come across an exhaustive product list to choose from. There are around 12 product categories which are further sub-categorized. This mobile classifieds portal assists in buying, selling, and renting within a fraction of seconds. The app is user-friendly, so even a non-techie can find his way easily and benefit from its myriad services. I chose the category Home & Lifestyle and then the subcategory Baby - Infant Products. Several product options popped up almost instantly - from used baby cots to new strollers, bathtubs, and so on. Soon I stumbled upon what I was looking for. 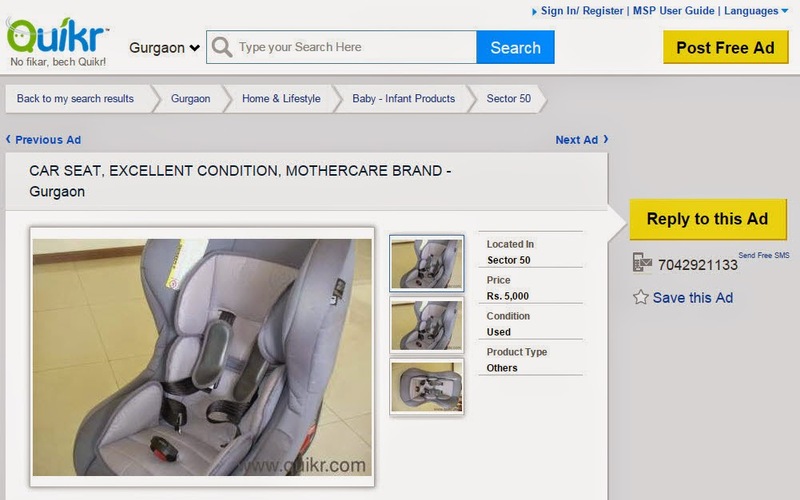 "A car seat, brand - Mothercare, priced INR 5,000." Bang on! 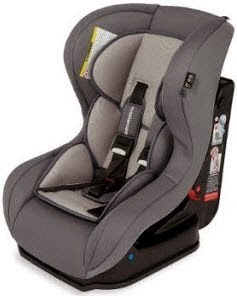 The description read "Car seat, excellent condition, brand - Mothercare, suitable for children from approximately 9 months (9kg/20lbs) to 4 years (18kg/40lbs). Side impact protection system, recline position for a more comfortable journey, removable and washable covers." The post also contained a phone number among other contact details of the seller. A phone call led to the seller's residence where we examined the product first-hand, and once thoroughly satisfied, made the payment in cash. We were now set for our perfect weekend getaway. 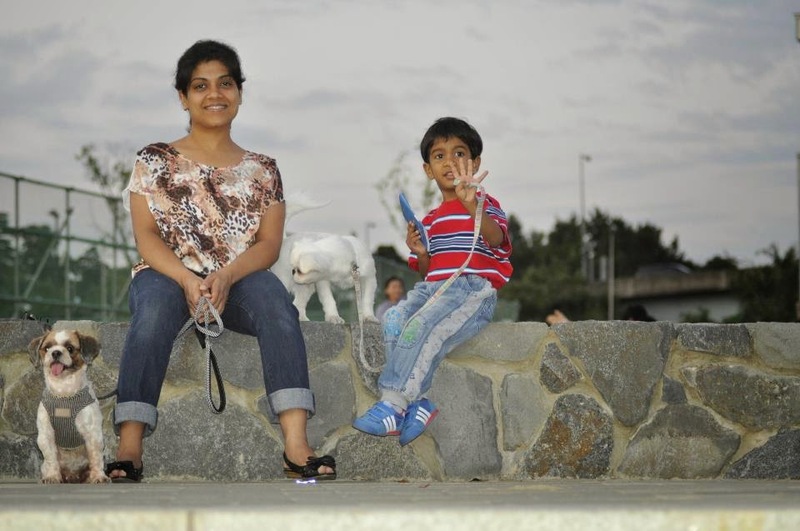 Both Saanvi and her mommy enjoyed the travel and I returned home as a happy family man, thanks to Quikr. On a relatively free evening, I sat down to explore Quikr further. I was quite happy to navigate my way through a well-planned and a well-designed app. A closer look reveals various in-built options such as the MSP (Maximum Selling Price) Calculator. Whether buying or selling, do avail the benefit from a unique algorithm that calculates the best possible price of used goods. It compares and contrasts various products within the same category and gives the seller an actual selling price after taking into account the condition of the product, its demand, and so on. In case you don't come across a suitable product offering and would like to be notified of its availability, simply create an Alert. You can describe what you like by choosing a category and further its sub-category. Mention your location and just relax. As soon as what you need becomes available, you'll be notified and then you can contact the seller personally. While looking for a suitable product, you can refine the search results by using the Sorting option available in each category. You can sort the offering based on the date of posting, price, and availability of an accompanying image. Additionally, filter your search results and limit the range of products offered by choosing the locality of the buyer/seller, type of product, brand name, price range, and so on. You can also make a choice between an individual seller or a dealer and a used or a new product. Just choose your correct location and enjoy the numerous offerings. She did. But it wasn't easy convincing her.